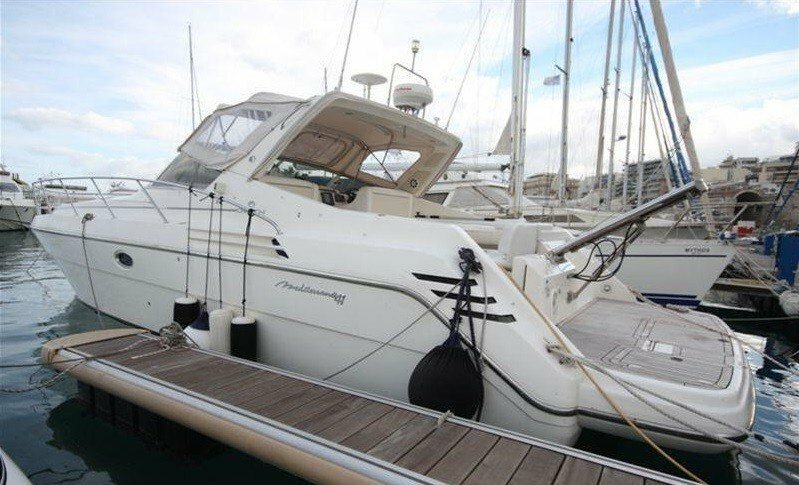 Cranchi 41 is an express cruiser with some characteristics of larger motor yachts like convenient garage for the tender, bathing platform, sport performance and modern linesd. 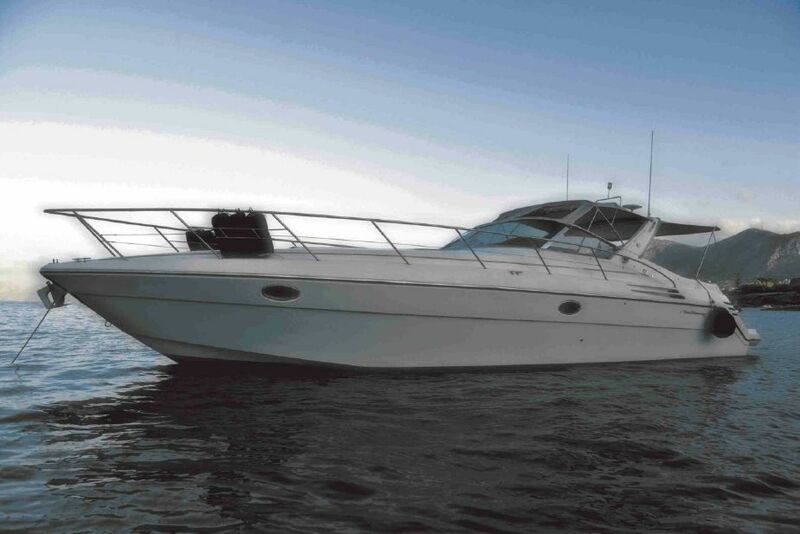 This sporty model is a perfect choice for those who would like to visit as many bays and coastal towns as possible in a short time. 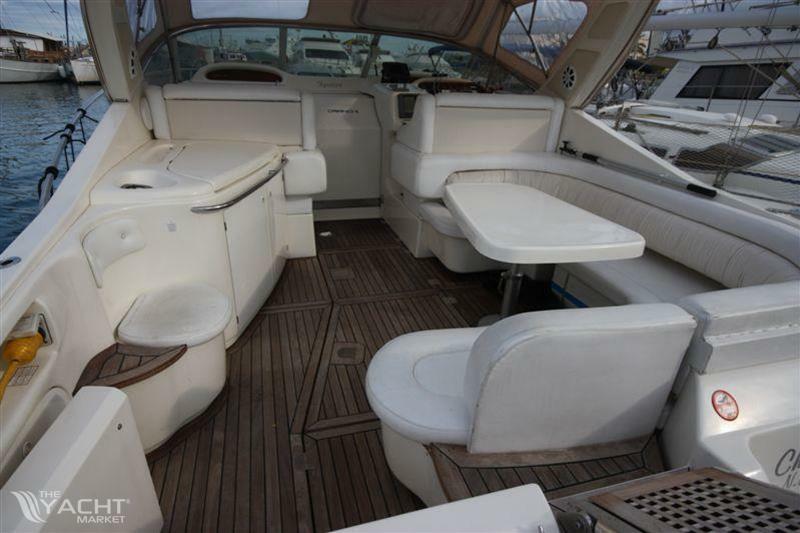 Exterior of the Cranchi 41 provides great comfort, security and possibility of entertainment. 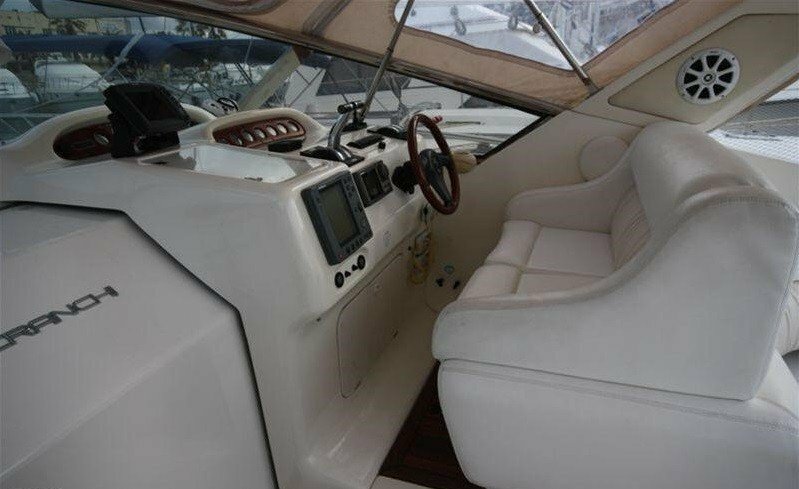 The cockpit is spacious and has nice aft sun pad. 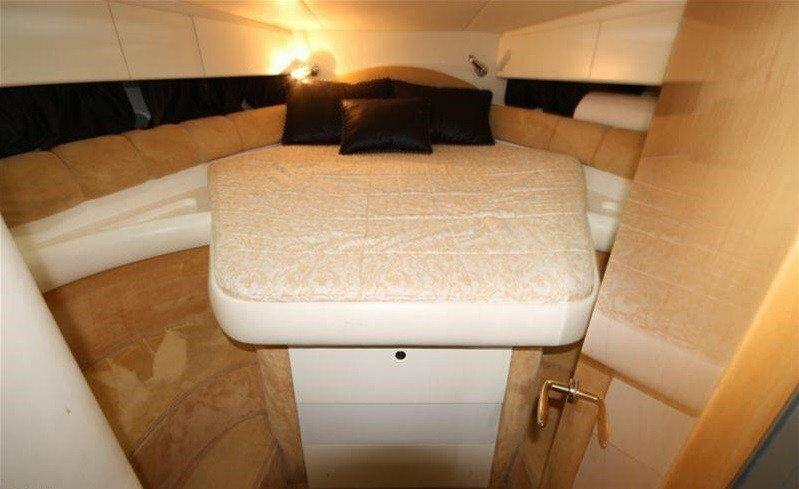 Bellow is the hydraulically opened spacious garage for tender and other equipment you may use at sea. 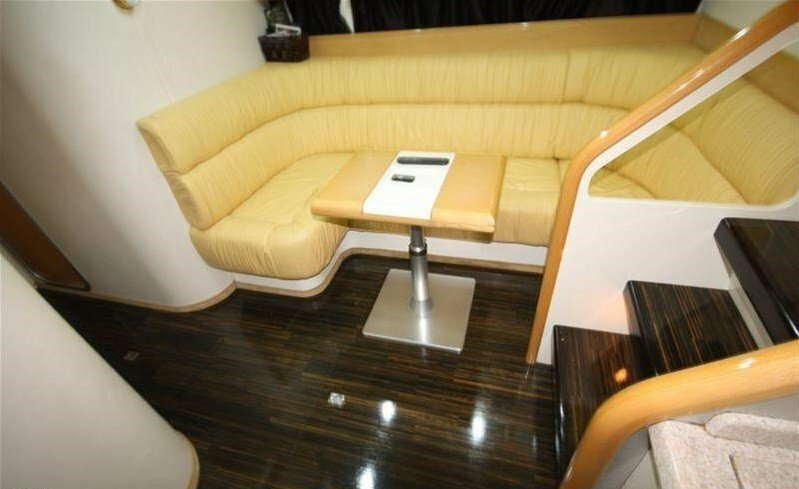 Foredeck has beautiful cushions for relaxing and sun bathing. COMMENTS: The boat renovated completely in 2015-2016.